Well, it certainly looks like Weapons of Mutant Destruction is doing a great job of creating some advance buzz, now doesn’t it? 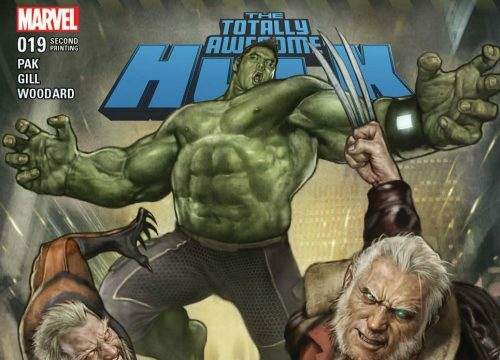 Just days ago, we previewed some of the first issues to be included in this mammoth crossover, so we can fully understand why retailers have seemingly already bought up all copies of one of the prelude chapters, Totally Awesome Hulk #19, and why it’s already scheduled for a second printing. 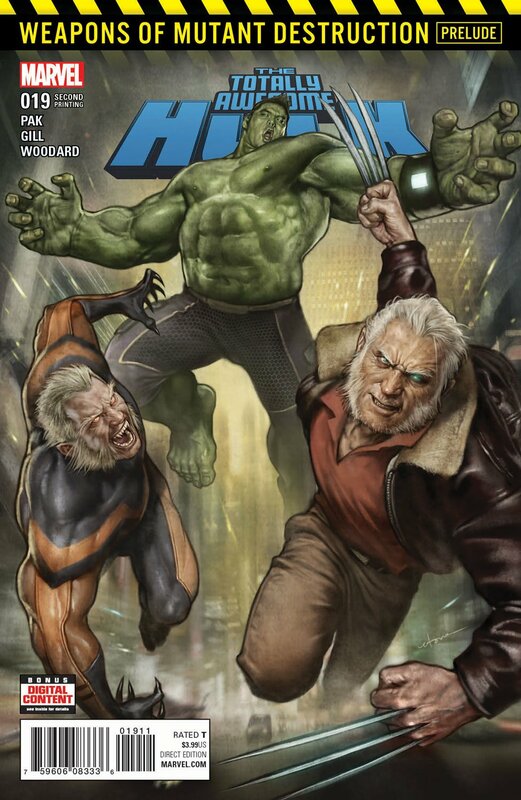 As is the case with any crossover of this sort, desperate times call for desperate measures – not to mention strange bedfellows – as Amadeus Cho is forced to team up with the likes of Old Man Logan, Sabretooth, Domino, Warpath, and Lady Deathstrike to battle the new Weapon X. Written by Greg Pak with art by Robert Gill and Nolan Woodard, this opening salvo is guaranteed to deliver giant-sized action with loads of intrigue.